Did you know Alabama goes to the polls on Tuesday, 9/18? 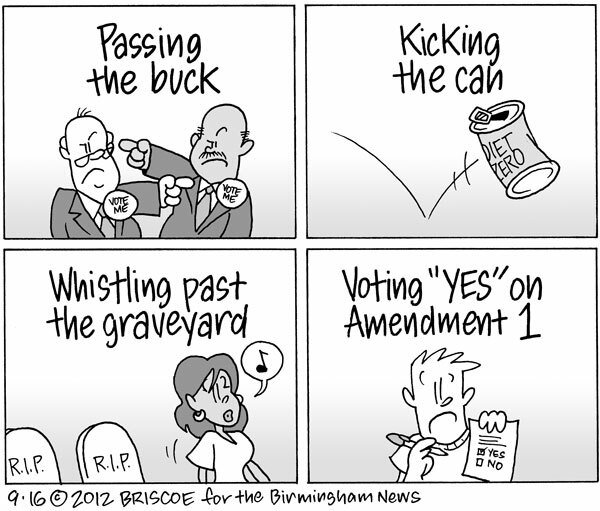 See my latest Birmingham News editorial cartoon. For the record, this is not an endorsement for a "yes" vote!